Described by Gardeners World as the ‘opportunists of the plant world’ self seeded plants are, dependant on your point of view, either a delightful surprise or a right royal pain. Certainly there is much written in the various rules and regulations of allotment leases about keeping plots ‘weed free’ and usually this includes anything that is likely to set seed on neighbouring plots. 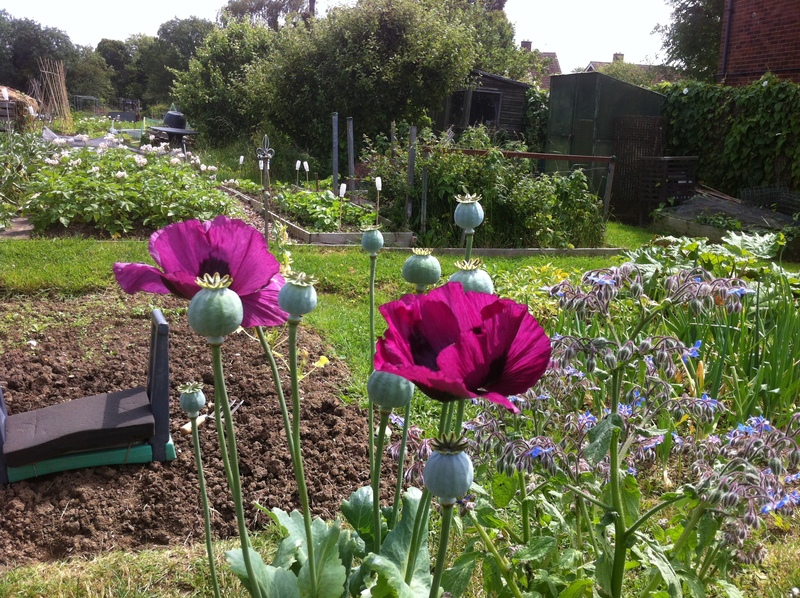 Plot holders on our site in the main seem to be quite relaxed about it all and most feature self seeded plants to a greater or lesser degree; borage, poached egg plant, forget me nots, verbena, nasturtiums and these poppies. I took these pictures on Cath and Roy’s plot yesterday where as well as looking beautiful they were proving very popular with the resident bees. I shall be collecting some the seeds that they have kindly offered later in the year. The purple poppies are beautiful. I grew some from seed a few years ago and they’ve seeded themselves around the garden, so I haven’t needed to sow any more. On the other hand the bronze fennel that’s springing up everywhere is getting to be a pain! 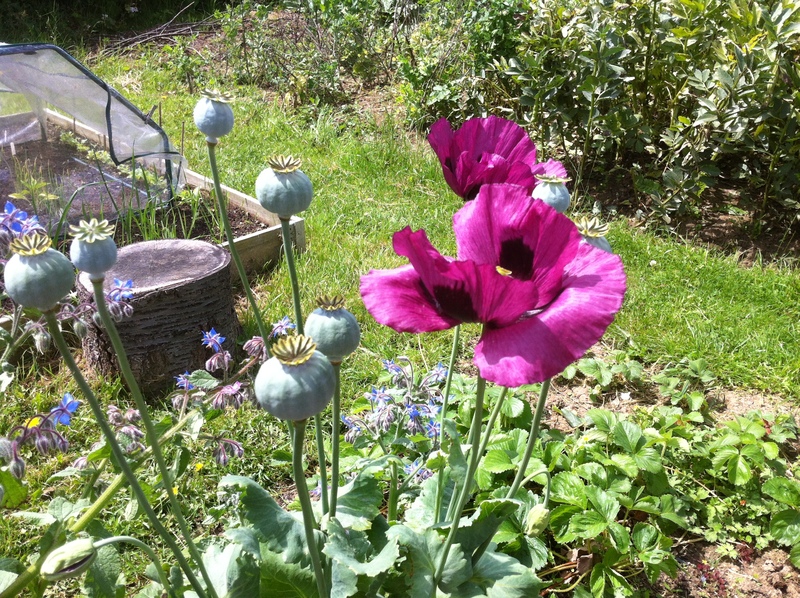 I tried to grow poppies from seed (packet) last year to no avail. Hoping seed from those already growing on the site will be more successful. For me they’re a delightful surprise as I grow lots of flowers on the plot, mostly self-seeding annuals. Thankfully my plot neighbours have no problem with that. Me too, I need more space though.